"Those who claim that the new, alternate forms of publishing make traditional publishing obsolete haven't really considered what publishers and booksellers do. The book business is an intricate, economic mechanism that differs substantially from most other segments of the economy. The print book market affects the e-book market, and the e-book market affects the print book market in ways that may not be obvious to the casual observer. "Books are fundamentally different than most other products. They're not like pools of oil that you can eventually find and dig up, if you look hard enough. Unless the economic conditions are right, there are many books that will never come into existence at all." --Bill Petrocelli, co-owner of the Book Passage, Corte Madera and San Francisco, Calif., in a Huffington Post piece headlined "Who Needs Publishers & Bookstores? Writers, Readers & Everyone Else"
In October, Barnes & Noble will begin selling the Nook in the U.K. both online and through partnerships with "leading retailers expected to be announced shortly," the company said. The move marks B&N's first foreign retail foray. 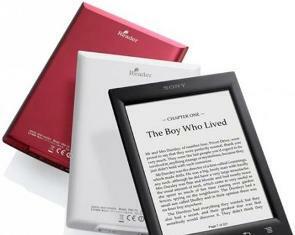 B&N will offer Nook devices and its digital bookstore at nook.co.uk. The store will stock more than 2.5 million digital titles, including bestselling U.K. books, newspapers and magazines as well as comics, Nook Apps and more. B&N has long been rumored to be seeking a U.K. partner. In May, Waterstones, the main focus of those rumors, announced a non-exclusive deal to sell Amazon Kindles in its stores, beginning this fall. 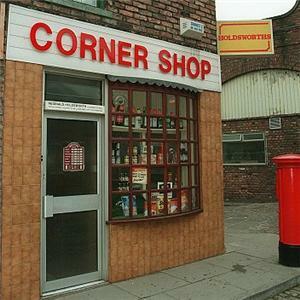 Amazon plans to "step up its assault on the U.K.'s retail market by delivering parcels to nearly 5,000 corner shops and newsagents around the country," the Telegraph reported, adding that the online retailer "has quietly started trialing the scheme on a small scale with items such as books and clothes, and plans to roll it out nationwide." The company is teaming up with Collect+. The Reader PRS-T2, Sony's latest touchscreen e-ink e-reader with new Facebook and Evernote features, is now available at $129.99. Cnet reported that "the 5.9-ounce T2, which comes in black, white, and red, looks very similar to last year's PRS-T1, but according to Sony, it brings some feature and performance improvements along with some tweaks to the button layout and design." 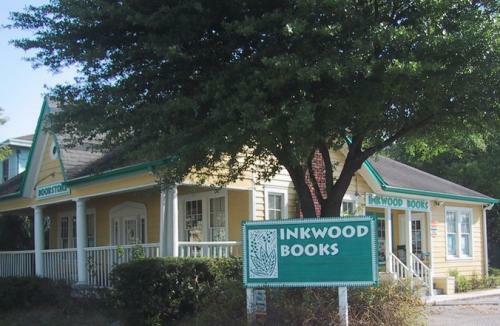 More on Inkwood Books, Tampa, Fla., the 20-year-old bookstore founded by Carla Jiminez and Leslie Reiner that is for sale. For starters, the owners emphasize that the store is in great shape, business is continuing as usual and Inkwood is not closing. As Jiminez wrote: "We are fortunate to be frugal debt-averse penny-pinchers and have a healthy shop with fine financials for the right person to carry on what we've created here." And on Facebook, the store posted: "Inkwood is a wonderful turnkey opportunity, with healthy numbers and no debt, a great reputation near and far, and supportive customers. We expect a new owner will continue what we started with a seamless transition." Sales at Inkwood continue to grow and the store is profitable. The owners, the Tampa Tribune wrote, are "only interested in selling to someone with a deep commitment to what the store stands for: independence, a love of books and a love of relationships with customers." That search has gone well. "Early this summer," the paper continued, "the bookstore quietly contacted about 50 close supporters to let them know about a potential sale and gauge their interest in buying the operation. Since then, the list has been winnowed to four potential buyers." 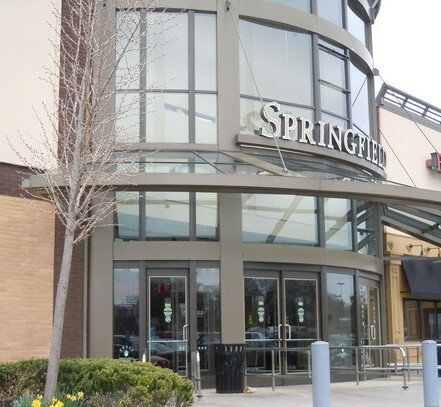 New BAM Bookstore in Springfield, Pa.
Last Thursday, Books-A-Million opened a new location in Pennsylvania at the Springfield Mall in Springfield, in suburban Philadelphia, the Patch reported. BAM operates more than 200 bookstores in 31 states. 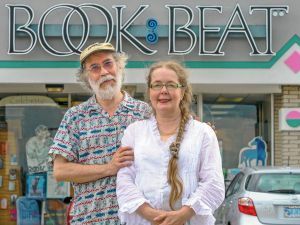 Lisa Sharp, owner of Nightbird Books, Fayetteville, Ark., chose not to look for a replacement when BHK Kafe decided that it would be moving from the restaurant space inside the bookstore to a new location. Instead, she opted to diversify, deciding "it was time to enter the coffee business herself," the Fayetteville Flyer reported. 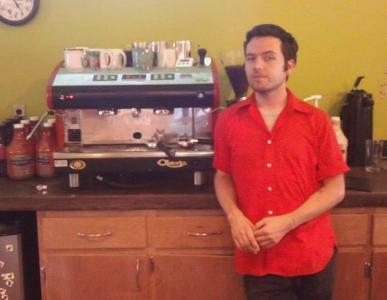 A grand opening for the new café was held Saturday (in photo: one of the store's "many handsome and beautiful baristas"). "This is kind of the grand vision I originally had of what I wanted Nightbird to be," said Sharp. "We had Jon Allen of Anonymous Coffee come by and set us up with some equipment. Later that day, we were selling coffee.... We think this could eventually grow to become about 25% to 30% of our business. It's also been great so far, because we don't have to worry about working with another business to cover our events. I think we'll do a lot more events now." For the time being, the café's focus is on coffee drinks, beer, wine, bagels, brownies and other snacks. "If everything keeps going well, we might eventually do a lunch, but not until we have everything else down," Sharp said. "We'll just see how it goes." Last week in New York City, the German Book Office and Saatchi & Saatchi co-hosted a party for New Zealand, which is the guest of honor at the Frankfurt Book Fair, October 10-14. The event, which also served as the U.S. launch for The Forrests by Emily Perkins, provided partygoers with a taste of Kiwi literature, filmmaking, poetry, art--and delicious wine from Cloudy Bay Vineyards in the Marlborough region of New Zealand. 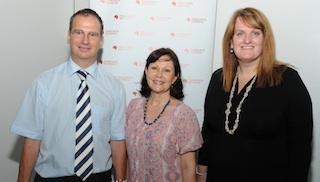 At the event (from l.): Jakob Ritter von Wagner, head of the cultural department for the German Consulate; Catherine Scharf, head of the cultural department for the Swiss Consulate; and Peta Conn, Consul General of New Zealand. Congratulations the Book Beat, Oak Park, Mich., which celebrated its 30th anniversary yesterday with a party that featured some 30 authors and artists as well as live music, refreshments, discounts, a taco truck and an outdoor tent. In a q&a with the Detroit Free Press, Cary Loren, co-owner with Colleen Kammer of the store, described the store as "a creative place, a good resource for creative-type people. It's a resource for parents, educators, artists and children." 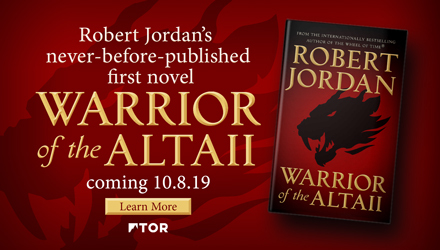 Loren noted that over the years, the Book Beat hasn't so much changed as "expanded and deepened--more art, more literature, more children's literature. Besides educators, we serve artists and the arts community as a whole--all of the fine arts, including photography and music. We specialize in bringing authors to the city, as well. I'd say we're really customer-oriented, with a strong staff that's knowledgeable about books.... We're not the bookstore for everyone. We're not some general store where you could find a wall of computer books. My wife says we're a connective space." This has been a big year for the store. In May, the Book Beat won the Pannell Award, in the general bookstore category. The judges praised Book Beat for its "passion and true understanding of children's books and young readers [and its] tremendous success as an independent haven within a tough urban environment." 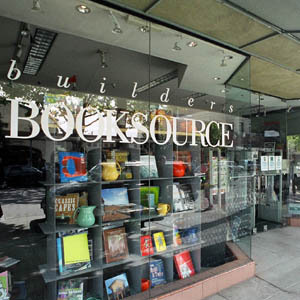 Builders Booksource, Berkeley, Calif., is having fun with a temporary barricade wall that is going up today as part of the store's reconstruction. Tomorrow at 7 p.m., the store, which is remaining open during the work, is inviting what it called the many "closet graffiti artists lurking out there" to decorate to the wall. "It won't be up for more than 10 days to two weeks, but what an opportunity! Architecturally related graffiti is requested, but NOT required... let it all out!" Brief History of Pulping: Where Do the Dead Books Go? Inspired by Houghton Mifflin Harcourt's recall of Jonah Lehrer's "sullied bestseller" Imagine, New York magazine explored the mysterious process by which "millions of books are sent to the 'cruel machines,' as one young editor calls them, simply because their sales didn't meet projections. The process is tidily symmetrical: from the vat to the store and back to the vat." The Little Book of Talent: 52 Tips for Improving Your Skills by Daniel Coyle (Bantam). This morning on the Today Show: Joe Posnanski, author of Paterno (Simon & Schuster, $28, 9781451657494). He will also appear on NPR's All Things Considered. This morning on NPR's Morning Edition: Robert Crais, author of Taken (Putnam, $26.95, 9780399158278). Today on a repeat of the View: Joan Rivers, author of I Hate Everyone...Starting with Me (Berkley, $25.95, 9780425248300). Also on the View: Rachael Ray, author of The Book of Burger (Atria, $24.99, 9781451659696). Tomorrow morning on the Today Show: Daniel Smith, author of Monkey Mind: A Memoir of Anxiety (Simon & Schuster, $25, 9781439177303). Tomorrow on NPR's Diane Rehm Show: Richard Hasen, author of The Voting Wars: From Florida 2000 to the Next Election Meltdown (Yale University Press, $30, 9780300182033). Tomorrow on MSNBC's the Cycle: Michael Grunwald, author of The New New Deal: The Hidden Story of Change in the Obama Era (Simon & Schuster, $28, 9781451642322). He will also appear on MSNBC's Ed Show. A "guide to reading fall film adaptations" was featured in the Los Angeles Times, which noted that at "movie screenings lately, we've noticed people carrying rectangular-shaped objects. We did a search on the iPad and it appears they're called books and that people still enjoy reading them, despite the fact that each volume just contains one specific tome and not a multitude of downloads. Go figure." USA Today showcased the trailers for 10 highly anticipated movies this season that are based on books. 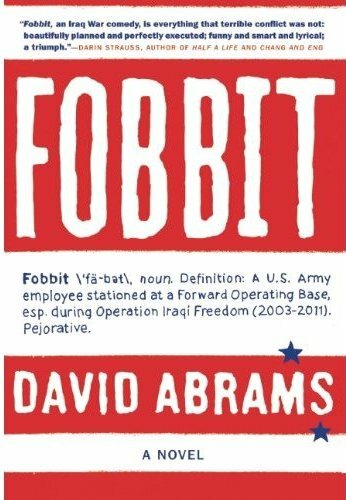 A fobbit, according to the cover of David Abrams's novel of that name, is "a U.S. Army employee stationed at a Forward Operating Base, esp. during Operation Iraqi Freedom." The environs of FOB Triumph in Baghdad are chaotic, but among the Fobbits, men and women talk about where to find the best DVDs, look forward to the seafood feast on Friday night, play games, get it on in Porta Pottys and try not to think about the war going on outside. Based on Abrams's own experiences in Iraq, Fobbit is none-too-gentle satire, often bitter and filled with contempt for posturing officers as it showcases the divide between them and enlisted men, or between those fighting the war and those reporting it, played out against a background of fear, mistrust and competing agendas. The heart of the book is Staff Sgt. Chance Gooding Jr., a public relations NCO who spends his days writing those aforementioned press releases, which, even as he puts the "right spin" on the bombing and street fighting, will be edited, re-edited and eviscerated until they bear no relationship to the events that made them necessary--as CNN embeds who know what really happened look over his shoulder, which will lead to yet another PR disaster. Then there's Captain Abe Shrinkle, a company commander with incredibly bad judgment, a hoarder with a trailer full of food and gifts from the folks back home. (He meets a fitting, albeit messy, end.) Mama's boy Eustace Harkleroad is a self-aggrandizing twit who writes home of his exploits--largely fabricated--and encourages Mama to leak them to the local papers. In reality, Harkleroad is a buffoon incapable of making a decision. Such is mid-level leadership at FOB Triumph. Shelf Talker: Abrams, who served on a public affairs team in Iraq in 2005, delivers a behind-the-scenes portrait of war in the spirit of Catch-22 or M*A*S*H.